The return to school marks a major shift in every child’s life-year. It is also a time of changes in season, climate and daily schedule. Perhaps due to all of these reasons – and the major one of increased contact with lots of other children – this is the time of year when children are most susceptible to catching colds, coughs, flu, ear infections and sinus infections. This can also be a trying time of year for parents, as they try to protect their children’s health, as well as their own! Why do some children seem to catch every bug that goes around and others don’t? Why do some children recover quickly while other children’s symptoms linger for weeks? Are there natural alternatives to the much-publicized flu vaccine? How can I use natural remedies and supplements to protect and strengthen my child’s immune system this season? Susceptibility: Who Catches The Flu? The strength of the bug (the bacteria or virus). The strength of the child’s immune system. These two factors determine who catches the bug, who gets sick and the severity or degree of symptoms that they experience. All day long, all year long, we are all being exposed to germs, bacteria and viruses. The strength of your child’s immune system on that particular day and moment determines whether they will catch a cold and get sick or not. When any sort of flu or other virus is going around the community, almost every person will come in contact with it in some way. Generally, however, only 10 – 30% of those who came in contact with it will catch it and develop symptoms. The sole difference between those who caught it and those who didn’t is the strength and integrity of their immune system. This is not to say that a healthy child should never catch a cold or flu. 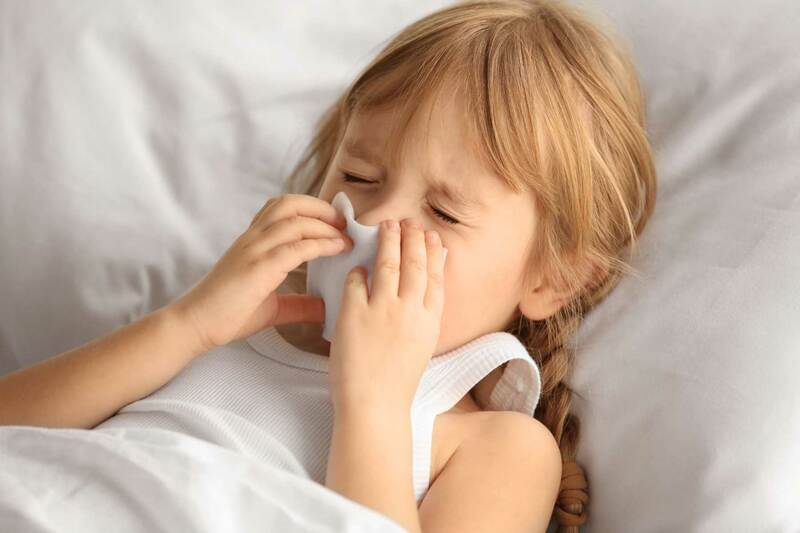 Colds and flus are a normal and natural part of how each child’s immune system is challenged, develops, matures, strengthens and creates antibodies for later in life. However, when a child with a strong and healthy immune system does catch a cold or flu, the right herbal and nutritional formulas can help them recover quickly and easily. If your child catches every bug that goes around and then it takes a lot of time, effort, medications and antibiotics for them to recover, that’s a sign that the necessary herbal and nutritional support is missing. Remember, almost everyone is exposed and comes in contact with the flu virus, but only those with a susceptible immune system will catch it. The difference between catching or not catching the flu is the current state of your child’s immune system. So how do we know what the overall strength of each child’s immune system is, and what do we need to do to maintain, strengthen and keep their immune systems growing healthfully? First, to gauge the current state of your child’s immune system, look back over their life and see how many infections of any sort they have had so far. How long does it generally take for them to recover and recuperate from coughs, colds, flus, ear infections, etc? How many times have they been given antibiotics in their life so far? Have they taken, or are they currently on any sort of allergy medications? Is their diet based on clean, organic, whole foods or processed, chemical and additive-laden junk and fast foods? Do they currently take any vitamin or nutritional supplements? By evaluating the above questions, you can get a sense of whether your child’s immune system and potential is at full, moderate or low strength. Now we can look at what can be used naturally for strengthening, maintenance and prevention. Multi Vitamin & Mineral: There are sixteen “essential” vitamins plus primary minerals. They are termed “essential,” by the National Academy of Sciences because they are required for so many important functions within the body and brain. Some play a more direct role within the immune system, like Vitamin C and Zinc. However, all of the vitamins and minerals are vital members within the orchestra of essential nutrients, the basic building blocks for every function in our bodies. Providing your child with a well-balanced diet and a MultiVitamin/Mineral formula is the first step in establishing a strong foundation for their immune system to work from. Vitamin C: Vitamin C has been the subject of thousands of research and, particularly, immune function studies. From the very first reports by Nobel prizewinner Linus Pauling, Vitamin C has been shown to perform as the number one vitamin for the support of immune function. Vitamin C is also known as one of the primary antioxidants within the body. Antioxidants help to protect children from the effects of the pollution and toxicity that they are exposed to within our modern day cities and thereby help to relieve stress on their immune systems while maintaining strength. Colostrum: Colostrum is nature’s number one food for restoring, strengthening and regulating immune function. Provided by the mother of all mammals, colostrum is the first nourishment given to the newborn baby through breastfeeding. For the initial 36 hours after birth, colostrum is provided by the mother; only after that does the breastmilk begin to flow. The reason nature set things up this way is because colostrum contains and provides all of the immune peptides, co-factors and growth hormones for initiating and supporting the development of the immune system in the newborn baby. Nature’s wisdom of its first food indicates the profound importance of the nutrients found in colostrum for creating healthy growth and immune function. By providing the above supplements to your child on a daily basis, you will be proactively supporting and strengthening their immune and natural defense systems. This is the best way to protect and support your child during the cold and flu season. All too often, the antibiotic prescription is reached for and given when these maladies can be addressed safely, easily and naturally with herbal and nutritional remedies. Maintenance and Prevention dosages: If your child has a history of recurrent infections, and it takes a while for them to recover each time, then use the above supplements on a daily basis. 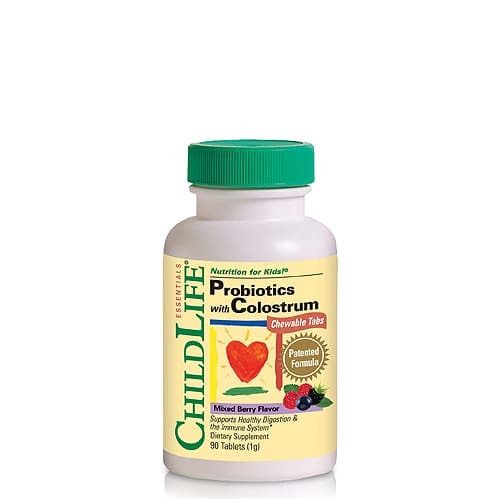 If your child’s immune system is strong and they only occasionally catch something, then use ChildLife® Multi Vitamin & Mineral and extra ChildLife® Liquid Vitamin C on a daily basis and give the ChildLife® Probiotics with Colostrum every other day through the winter cold and flu season. When your child starts to show signs of catching a cold, or flu, the most important action is to start giving them the recommended support and formulas as soon as possible. This then reinforces their body’s natural defenses. The extra support and response can help to prevent the bug from gaining a strong foothold. The immune system gains the upperhand. Often, the first signs can be just a slight change in energy level, mood or temperament. These are then followed by the more physical signs of congestion, temperature, headaches, sore throat, achiness and cough. ChildLife® First Defense. This formula is designed to be given at the very first sign of any symptoms and then used 3-4 times daily until all symptoms are gone. It is specifically formulated for children to help their immune and natural defense system respond effectively and quickly to any challenge throughout the year and especially during the cold and flu season. 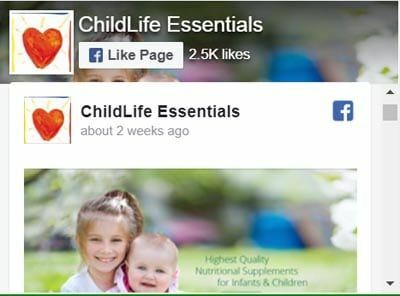 ChildLife® First Defense contains Olive Leaf extract, St Johns Wort, Larch Arabinogalactan, Colloidal Silver, Vitamin C and Zinc. Together, these herbs, minerals and vitamins provide an extremely effective formula that has continued to prove itself over and over again. It can also be used preventatively if your child has been exposed to or around other children who may be sick. In this case, just use for a day or two until you are sure your child is all clear. 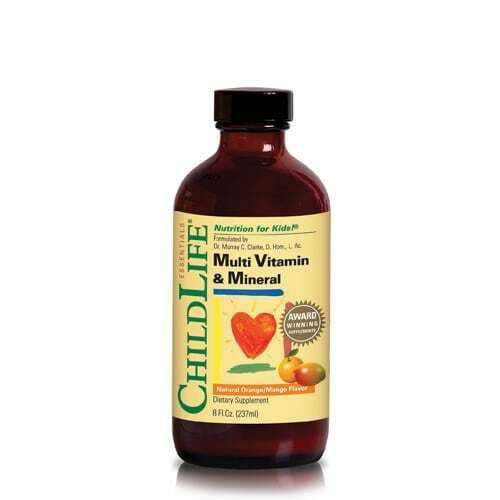 ChildLife® Liquid Vitamin C. Always use at the first sign of any symptoms. Increase the Vitamin C dosage until all symptoms are gone and recovery is complete. 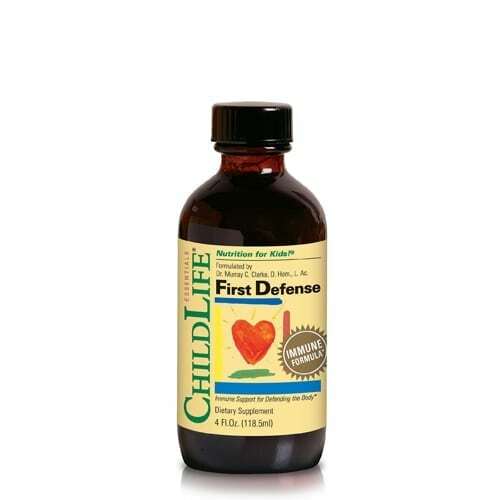 ChildLife® First Defense: immediately begin to give 3-4 times daily until all symptoms are clear. 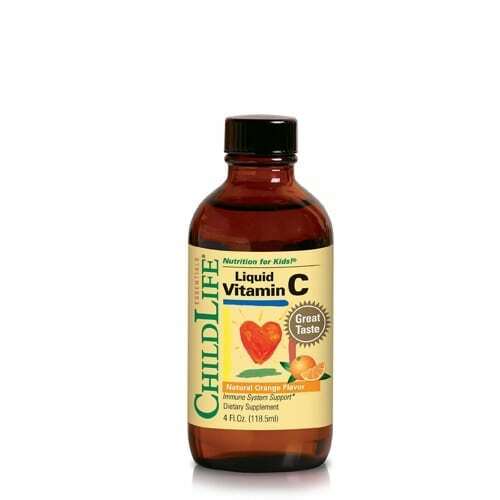 ChildLife® Liquid Vitamin C: also 3-4 times daily until all symptoms are clear. 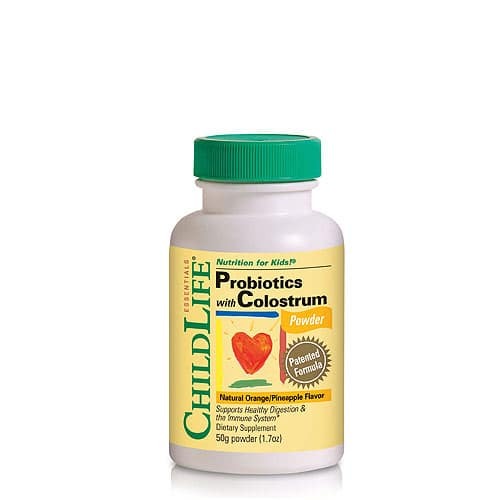 ChildLife® Colostrum: increase from the maintenance dosage, and give 2-3 times daily until all symptoms are clear. Continue use of the above formulas until all symptoms are gone and your child’s mood and energy are completely back to normal. At that time, continue to provide the formulas for another two days, but at half these dosages. This will help to reduce the chance of any relapse. These suggestions are the natural way to support and encourage your child’s immune system. Strengthening, maintaining and supporting your child’s immune system is the greatest physical gift you can give. The integrity of the immune system that is created in childhood will establish the quality of your children’s health for the rest of their life. Every time your child successfully heals from any infection by using these natural remedies, their immune system will grow stronger. It will learn to perform the task it was created for: to clear the infection and create antibodies for protection in the future. Just as we grow stronger and wiser through experience, so too does the immune system.